What a productive and exciting semester it has been so far. I recently completed a project for my Writing in the Second Genre (second genre being multimedia writing). The project is an audio essay in the spirit of This American Life. The story is a page from my own family history, it is about the harrowing journey of a seven-year old girl faced with the ugly reality of war. The seven-year old is my mother, Therese. The year is 1940, it is the beginning of WWII, the Nazi’s are invading her country. If you are interested in hearing the beginning of my mother’s journey through WWII click here. Hearing the old stories from my mother has sparked something within me. I have been struck by an earnest desire to capture the sights and sounds of that little girl’s journey through the medium of documentary film. It is my hope that while I am Living in London this winter, my mother and I will travel back to Belgium, to the place that was her home until she became a refugee of war with her mother and two brothers. Stay tuned for more updates about this project. 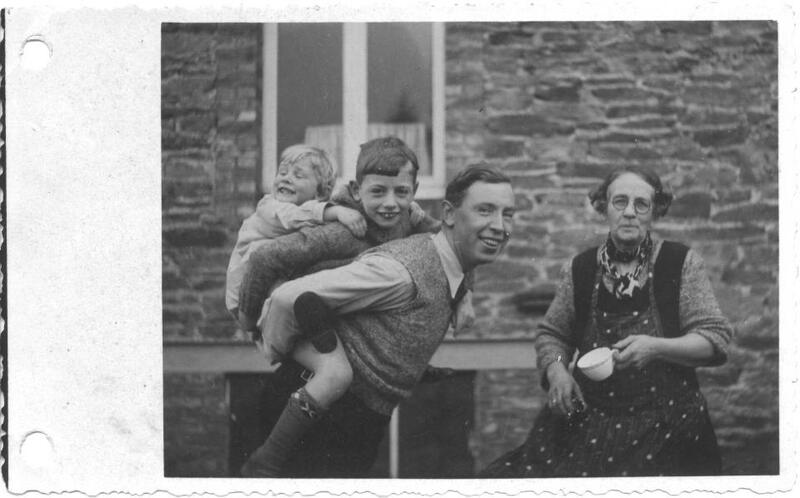 My mother is the little girl, she is on her brother's back who is on my grandfather's back. The woman is my great grandmother. 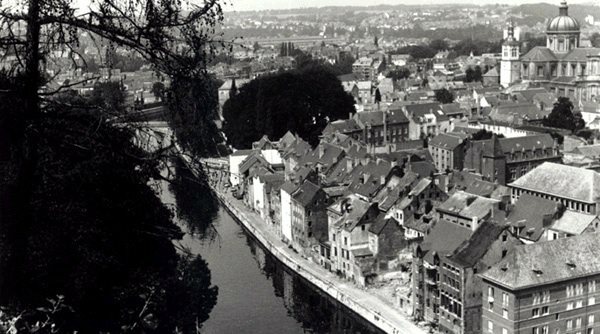 This entry was posted in documentary, film, History, mfa, writer, writing and tagged 1940, Anne Marie Cannon, audio essay, belgium, dinant, documentary film, history, MFA, multimedia writing, nazis, refugees, war, wwii. Bookmark the permalink. What an inspiration it is to read about this undertaking of yours. I think writing and relationships can go so deep when we express interest in our families to the level you are doing. Very curious now about the relationship between you and your mom. The opportunity to travel together to Belgium? So exciting! Projects like these also must cultivate a throbbing appreciation in those about whom you are writing, don’t you think? Like your mom must just feel special because you have this deep, deep interest in where she came from. Best of luck to you! Thanks Kate, your comment means a lot to me. I will keep you updated on the progress of the documentary through the blog. My mother did recently express appreciation for my telling of her story.